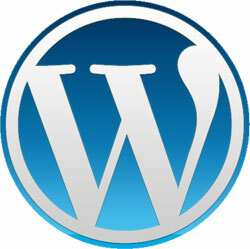 When you use our experts to develop your Wordpress solution, you can rest-assured you're accessing a highly competent team with extensive hands-on experience. Whether you want a cost-effective simple blog or a highly customized solution, we can deliver, just as we have done 100's of customers over the past 14 years. With a strong internal quality assurance process and single minded focus on customer service, youâ€™ll receive on-time delivery every time, and be fully kept up to date throughout the lifetime of your project. There are countless software applications created using PHP development as a basis or framework. The software may not specifically be PHP but the coding is very similar. We work with ALL of these applications including; WordPress, osCommerce, Zen Cart, Drupal, CMSMS, Zend, Smarty, Joomla!, CRE Loaded, Magento, and more! Whatever software you are using, SIM can provide high-level, custom PHP Development and support. If you ever need any assistance in the future you can rest assured that all php programming and design will be managed by English speaking php developers. Please get in touch with us today for all of your PHP development requirements, and we will be happy to give you access to our world-class PHP team.